The leader of the Hun army, Shan Yu is responsible for the Heartless invasion on China as he ruthlessly fights on his way to power. Although he speaks very little, his orange eyes and hulking figure speaks volumes about his violent and calculative nature. His pet falcon, Hayabusa, serves as his eyes and ears over China. 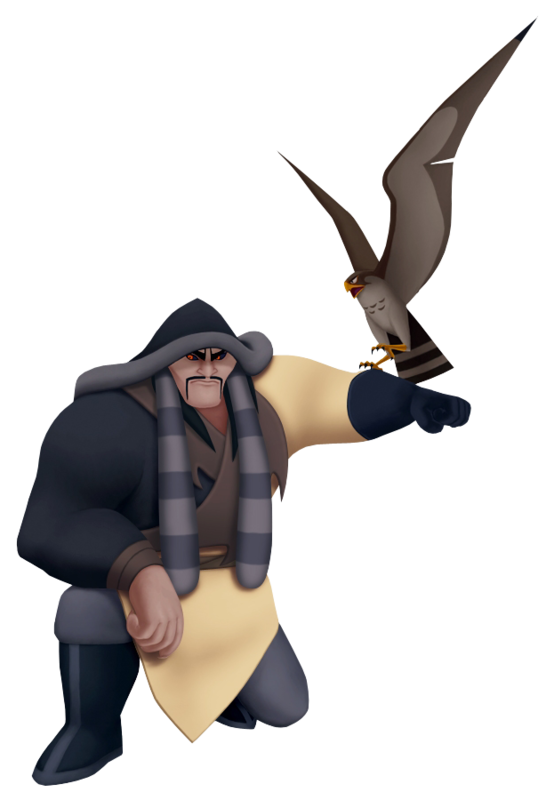 Shan Yu is a master strategist, capable of employing distractions against Sora and his friends, thereby freeing him to completely incinerate the mountain village. He leads a massive army of Rapid Thruster Heartless in a standoff against Sora's team, but is buried under snow due to Mulan's quick thinking. The powers of darkness however has granted Shan Yu a reprieve. He survives the avalanche and organizes a full scale assault on the Imperial Palace, only to be killed for his efforts. His sword is inherited by Mulan.